SBACT is involved in many initiatives affecting differing populations of Santa Barbara. 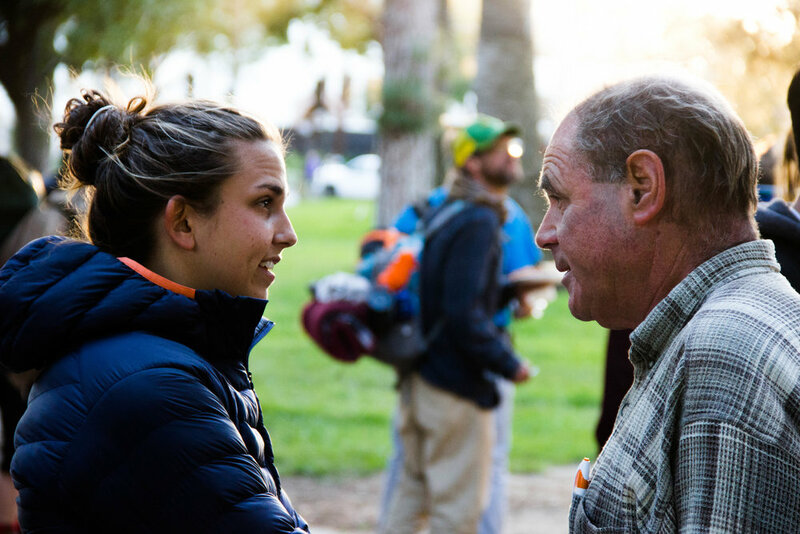 Since 2006, the Santa Barbara Alliance for Community Transformation has hosted meal-sharings in Santa Barbara parks for Friends without Houses. Anywhere between 80 and 200 people gather weekly for a warm meal provided by the faith communities of Santa Barbara. Medical care is provided by Doctors without Walls, and volunteers come to sit and build relationships with people on the streets. Exploitation and trafficking is a real, felt issue in Santa Barbara County. In this coming year, SBACT aims to further develop a coordinated collaboration between the non-profits, government agencies, and faith communities involved with fighting issues of local exploitation. Prevention efforts are focused around awareness, particularly with youth that are already at-risk. Padres Creando Sueños is a neighborhood initiative developed by SBACT in partnership with multiple Santa Barbara faith communities and run by Westside residents looking to support their neighborhood youth. The PCS team provides an afterschool tutoring service to at-risk students and works with Harding University Partnership School to provide reading resources in Westside classrooms. The Westside of Santa Barbara has the highest rate of any tract citywide of individuals without health insurance, while simultaneously housing the lowest number of health & human services per capita of any 'high-poverty tract' in the city. SBACT is leading a collaborative of partners including Cottage Health, Harding University Partnership School (HUPS) the Santa Barbara Neighborhood Clinics, the Ridley-Tree Cancer Center, and others to create and sustain more neighborhood health resources onsite at HUPS to serve this high-risk population.